In today’s writing world, there are many different genres that writers often have to know how to use, so it’s important to know the difference between these writing genres and when to use them and how. In the process, you will learn a lot about your own personal writing style and how to adapt it effectively to the many different writing tasks you’ll likely have to undertake and accomplish in different environments. In adapting in that fashion, you will learn how to meet all your personal writing goals successfully, whether they are in academics, in business, in science, the technical arena, sales and advertising, research, or the literary world. Whatever your writing experience has been, it’s important to understand the differences between all the genres and adapt your own style to each new task and genre. New tasks can sometimes be quite different in tone from what you are use to producing and indeed feel comfortable doing. However, it’s important to be able to change your style a bit whenever you write in a different genre for a different kind of audience. In other words, don’t write in stream of consciousness style for a document that will be used in a corporation. Believe it or not, I actually had a student who wrote a major business report (a proposal as I remember) in stream of consciousness style, a la James Joyce’s fiction. It didn’t work very well obviously. I explained that he needed to reserve the wonderful literary style he had for the short stories he wanted to write and redo the paper for me, using a recognized business communication style. The same advice would apply to a sales letter that’s written in an academic style instead of using more quick-paced, “me-to-you” phrasing that focuses on personal needs or a scientific or academic paper that overuses “I” and less formal contractions and includes slang, or a technical documentation manual that you decided to write as a personal narrative with an overuse of emotion where it is not acceptable. At the same time, don’t take a writing genre to extremes just to demonstrate that you can ‘do’ it when you’re not experienced in producing that style. It will appear false to the reader and keep your message from being delivered well. Don’t take technical writing to an extreme either just to show your own expertise when your reader is a non-technical person or a layperson training on a new job. Always match your writing style to the job at hand and the specific writing requirements and needs of the chosen genre. The key always is to “preview” the genre you need to use in a writing task and know the characteristics of that particular style and the type of reader you will be addressing. It’s also a good idea to collect models of a style you are new to or unfamiliar with and take some notes on word choices and sentence lengths, placement of phrasing, and use of terms for that style. Notice how each writing genre is put together, its organization and format, and identify any special areas or phrasing that don’t appear often and analyze them carefully. Look at the length that’s typical for the genre. For example a good cover letter is most often a single page and presented as 3-4 paragraphs, each with a common focus that attracts the employer and produces a callback hopefully for the position. An academic paper will have exact quotes and in-text citations and a reference list, but a training text likely will not. Technical papers will include acronyms and visuals, while a business proposal will not in most cases unless they are included as attachments. Styles also depend on the entity and location where you do the writing and/or where it is going. Understand the styles of a university or a nonprofit or a corporation or a different cultural environment and follow them closely. These changes in styles can relate to length, terms, structure, and unique other directives, including how to address certain topics make arguments or deal with social terms Learn how each detail is different or the same, and then adapt. The most important goal of course whenever you’re working in different styles and genres is to adapt your own writing style to each genre, and not abandon who you are as an individual writer. 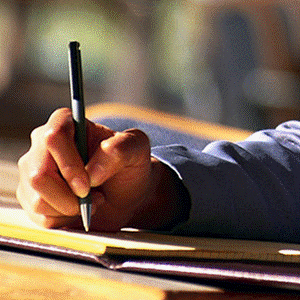 You want your writing style to work well and make the specialized genre read better and stronger and more clearly. You want your style to appear still and integrate well into the needed style of each genre and let your writing characteristics shine as you adapt them to a particular writing directive or task. Then you will be successful in demonstrating your own best writing qualities and your unique personal writing strengths while you meet the parameters of each genre. You will be more effective as writer, be able to move in and out of different styles and genres with more ease, and accomplish every assigned task you receive well and fully.